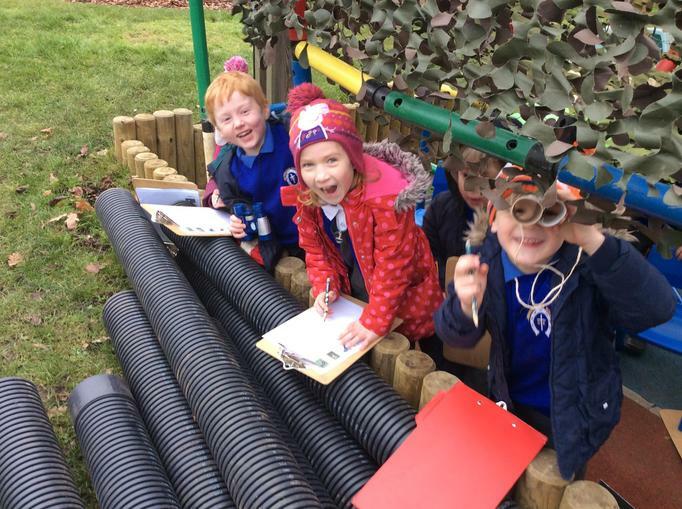 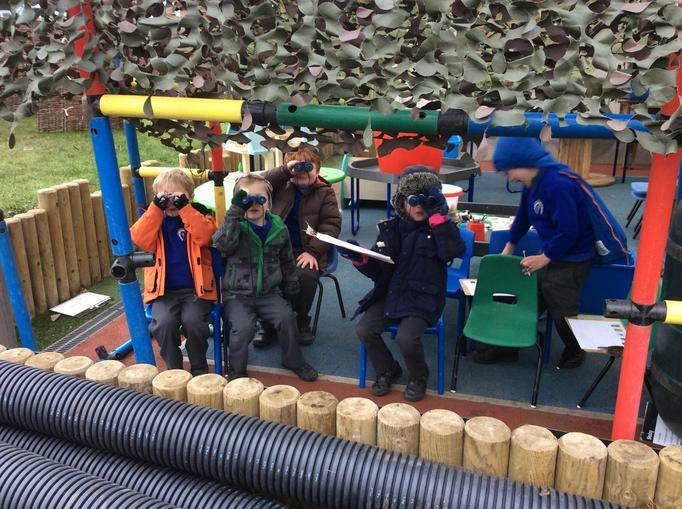 Lots of preparation to take part in the RSPB Big Garden Bird Watch 2017. 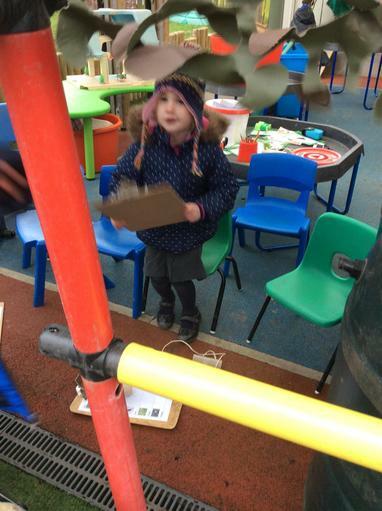 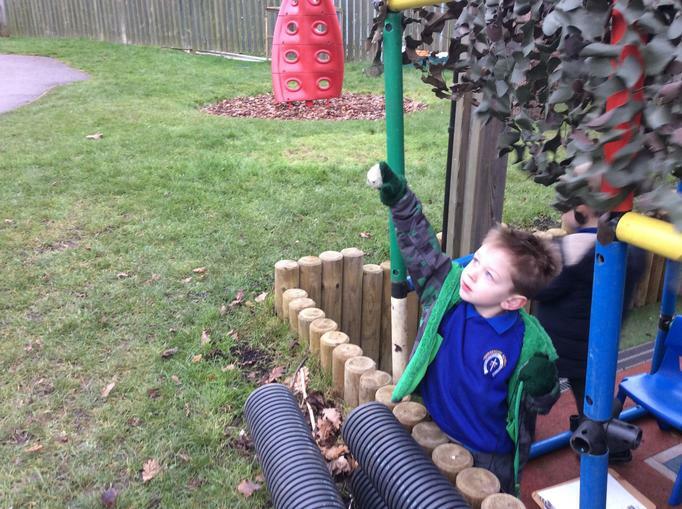 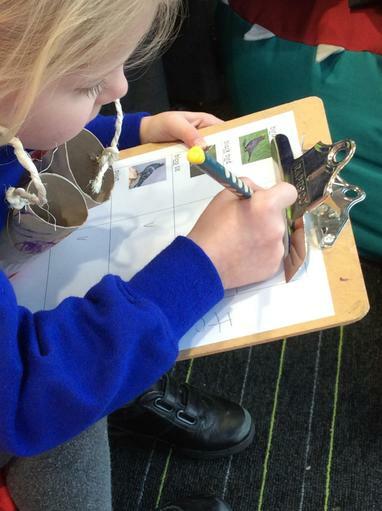 Making feeders to entice the birds into our outdoor area! 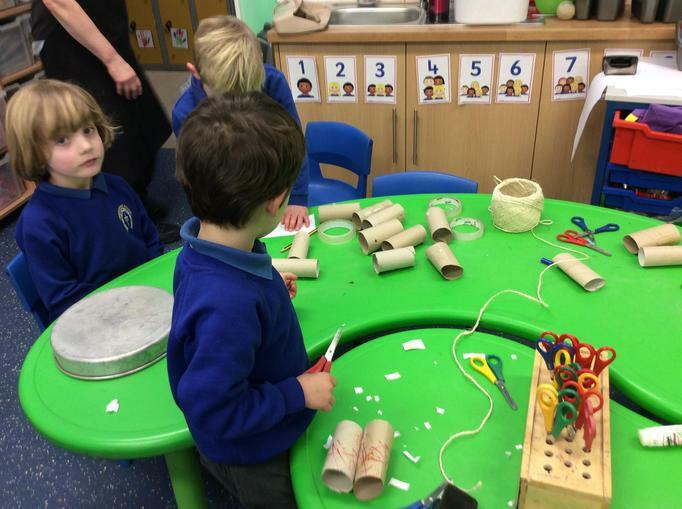 (Bonus helping our fine motor control too - threading cheerios onto pipe cleaners). 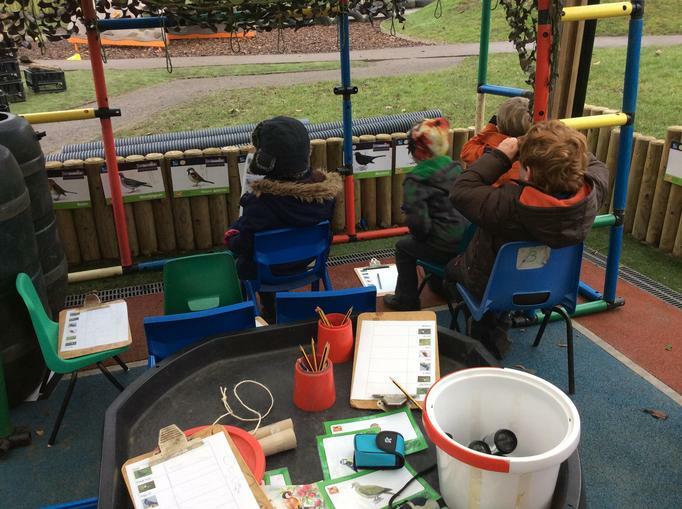 We split into teams to take turns in spotting birds today. 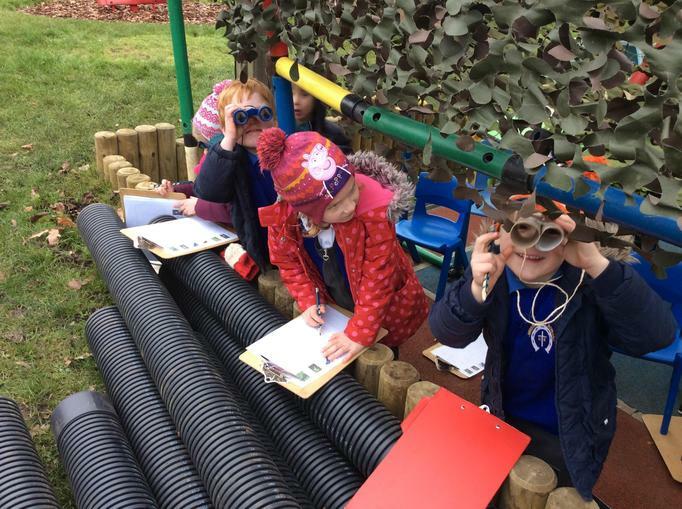 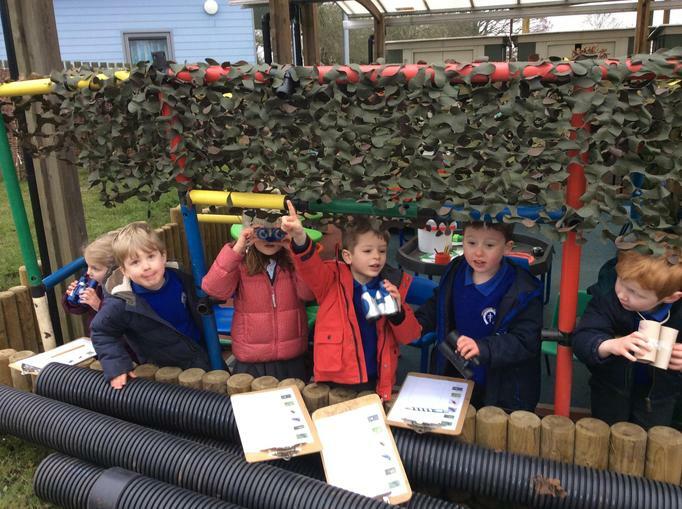 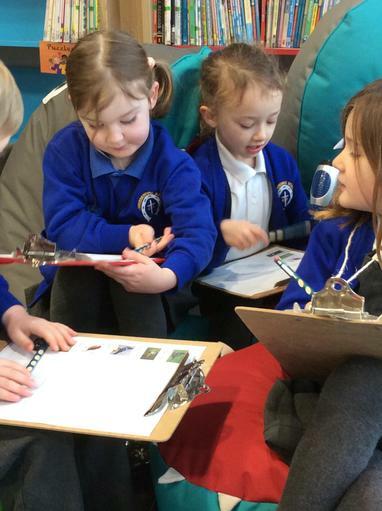 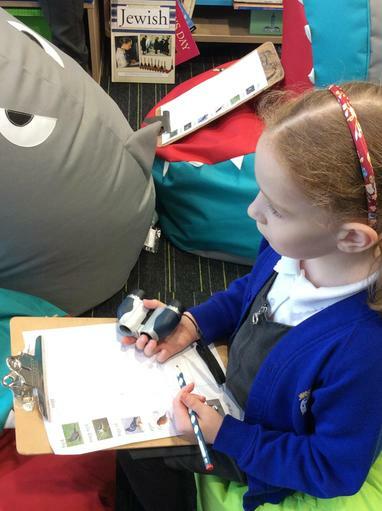 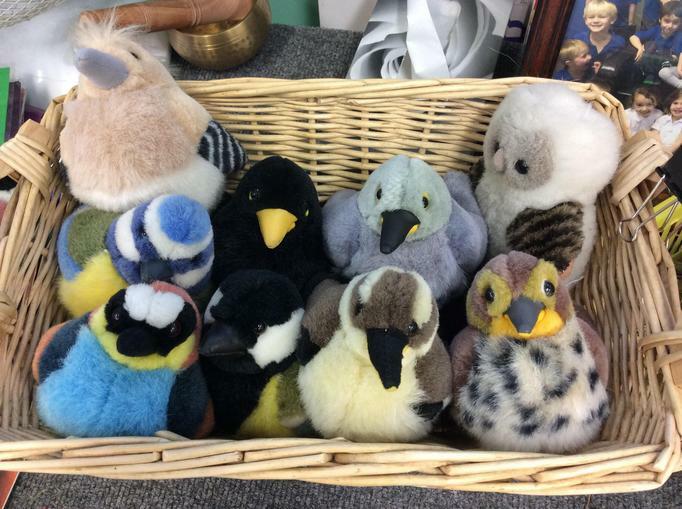 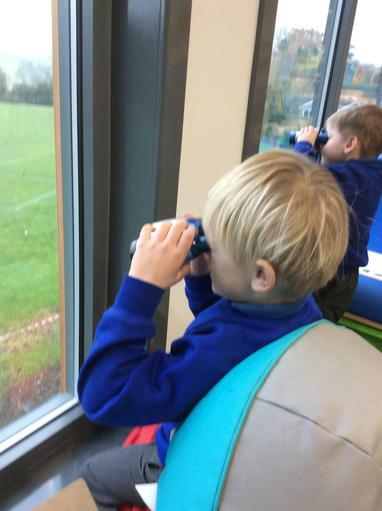 We thought we would be able to recognise lots of birds because we had been talking about them all week but we had a little help with identification charts. 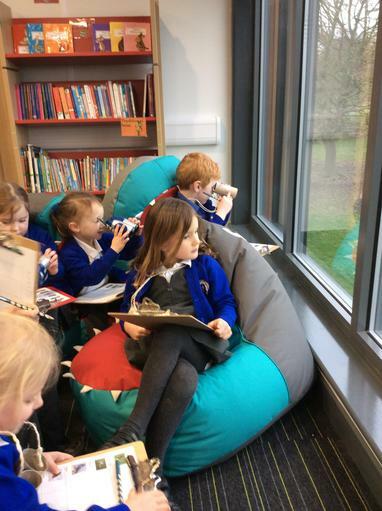 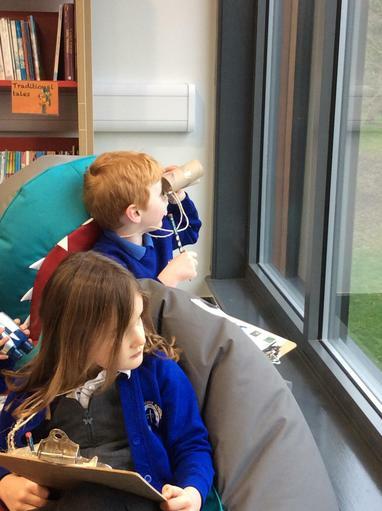 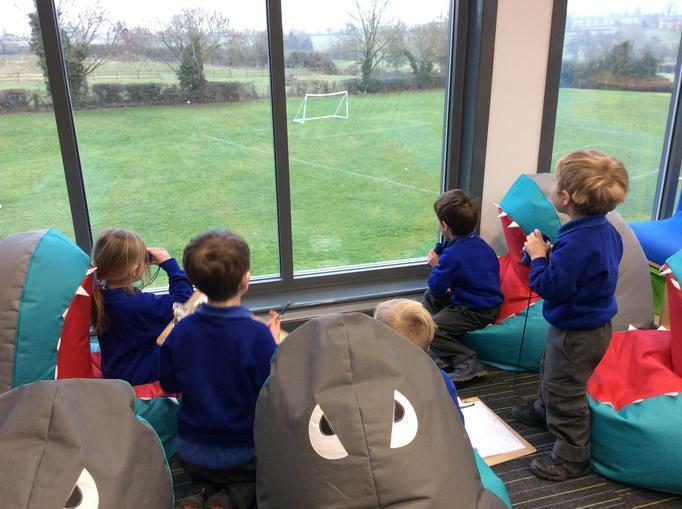 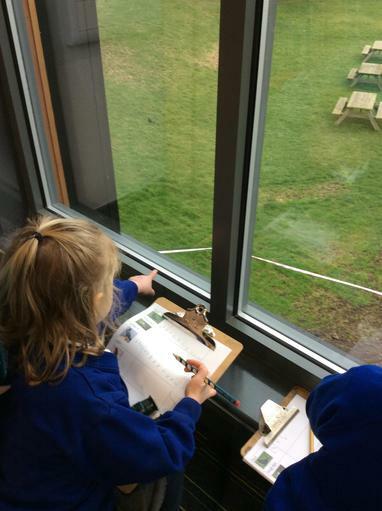 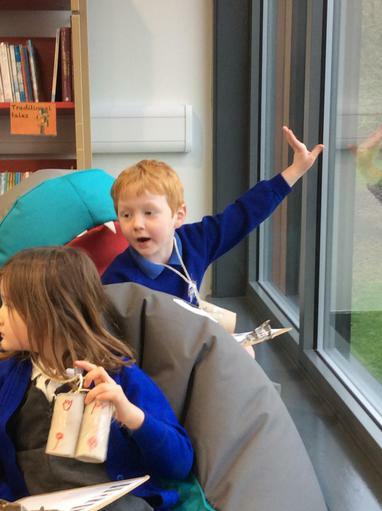 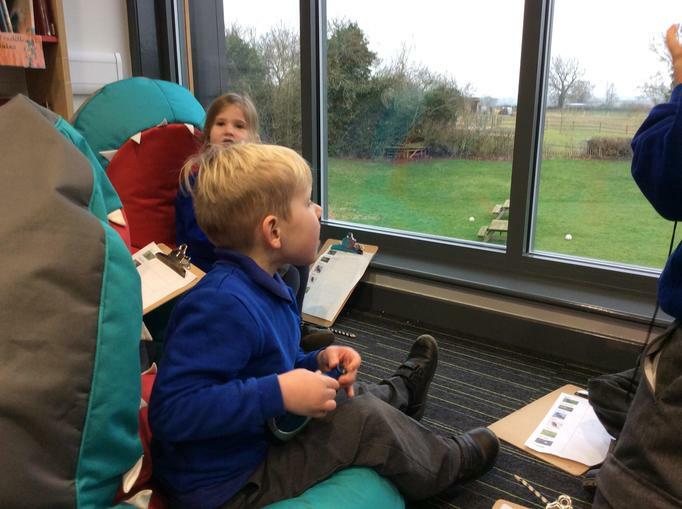 We set up a bird hide in our outdoor area, suitably camouflaged, but also used the windows of the new library on the second floor of the new build (it was much warmer in there) which gave a splendid view. 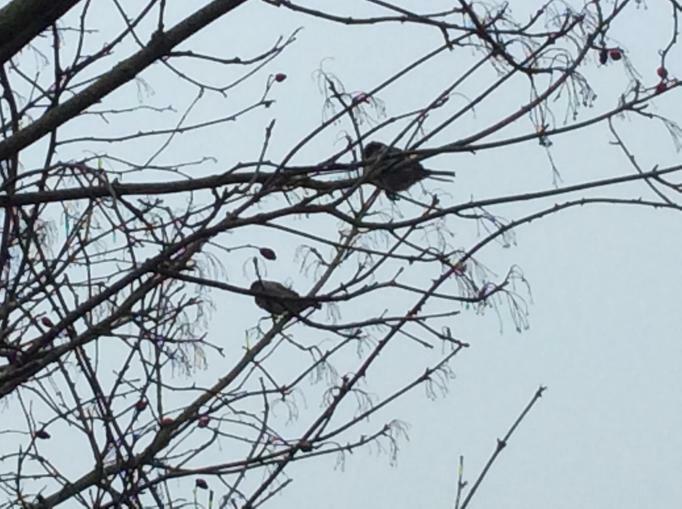 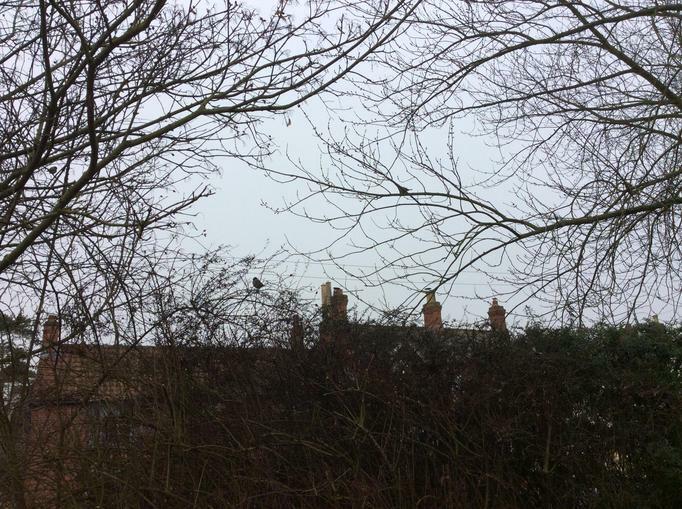 The main birds we spotted were blackbirds, pigeons, magpies, sparrows, robins and one goldfinch (we think - only one of us saw that one). 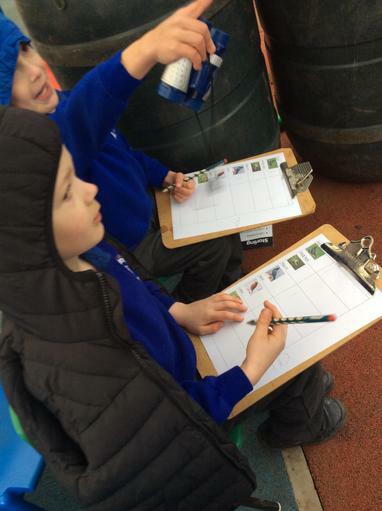 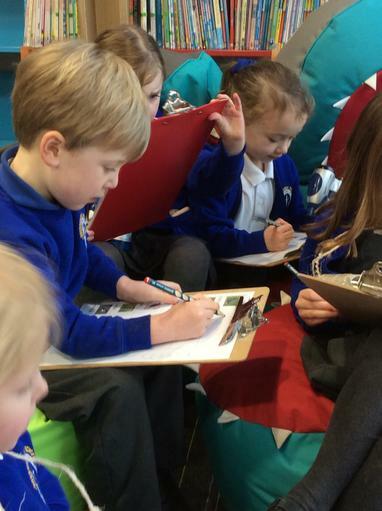 We input results onto a pictogram as the day progressed and kept checking the statistics (i.e. 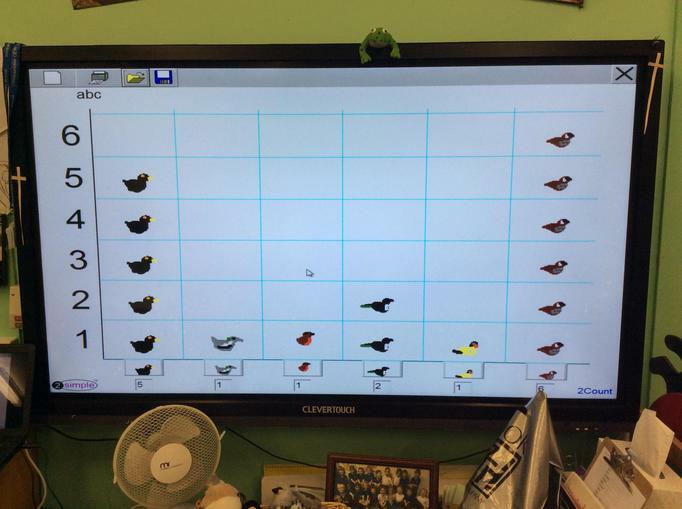 which bird we had seen the most/least etc). 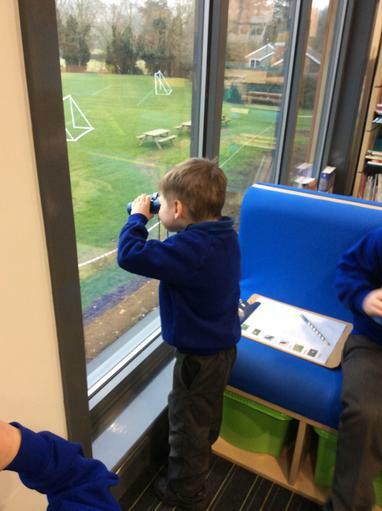 Lots of patience as we waited and great counting skills were displayed. 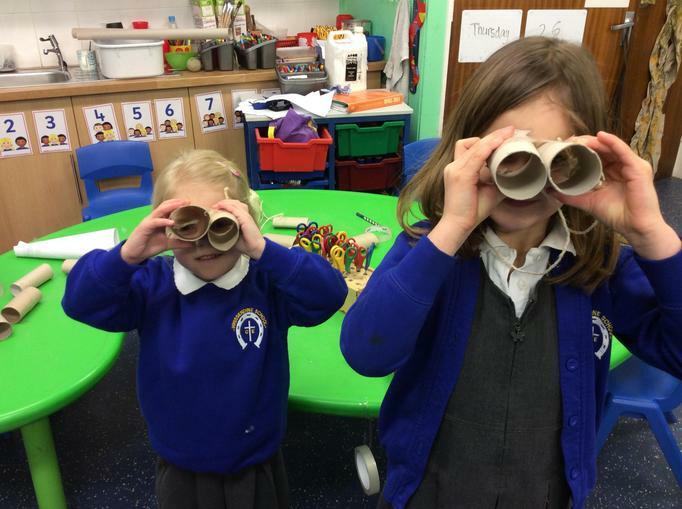 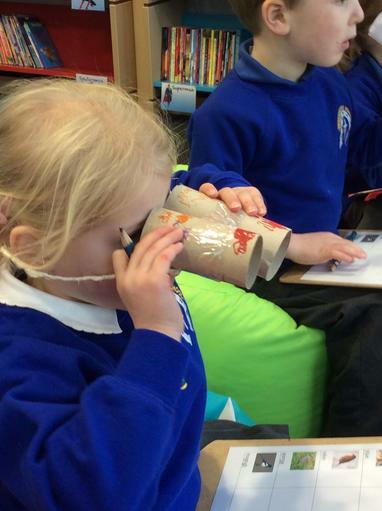 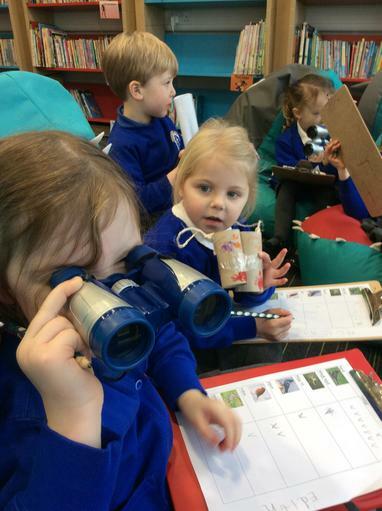 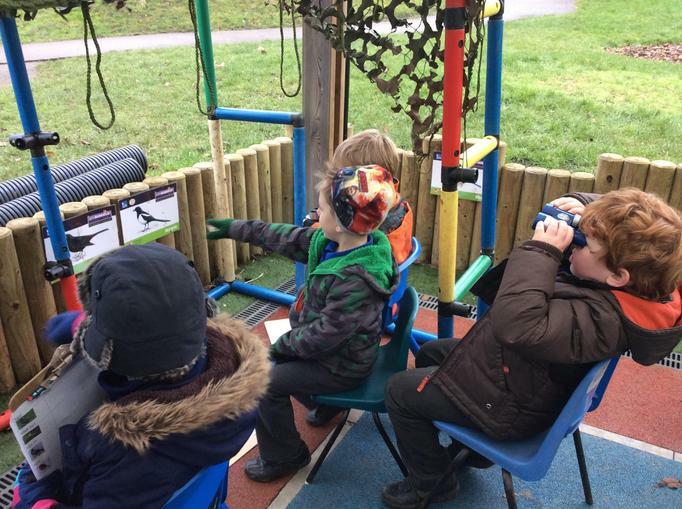 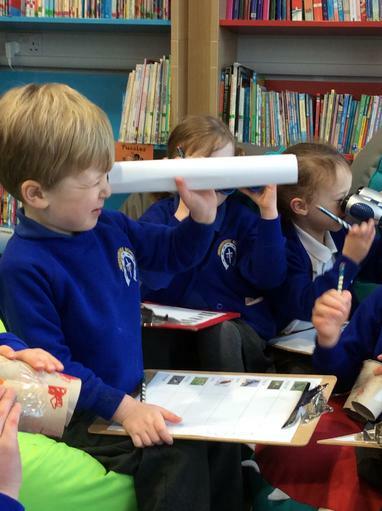 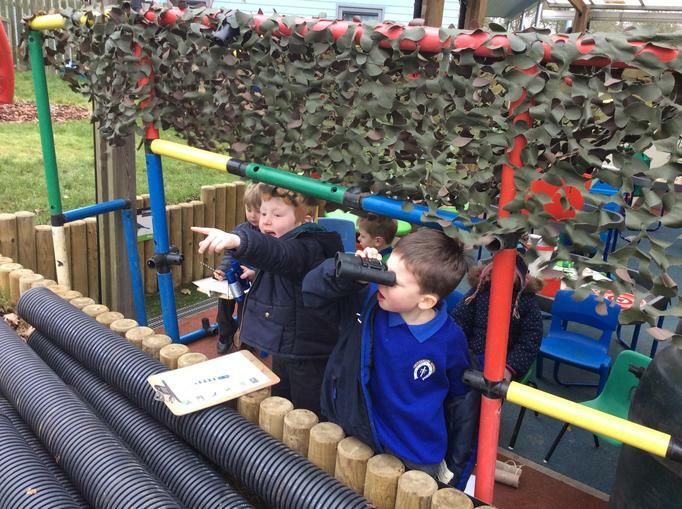 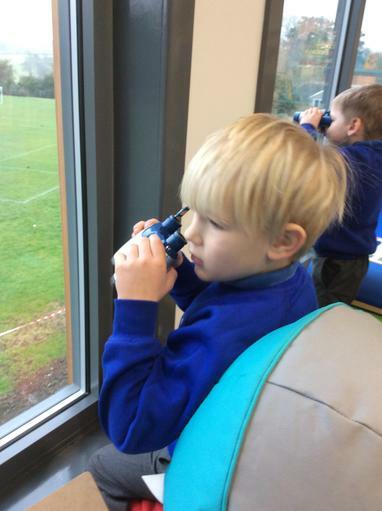 We used our class binoculars but also made some and they were just as good! 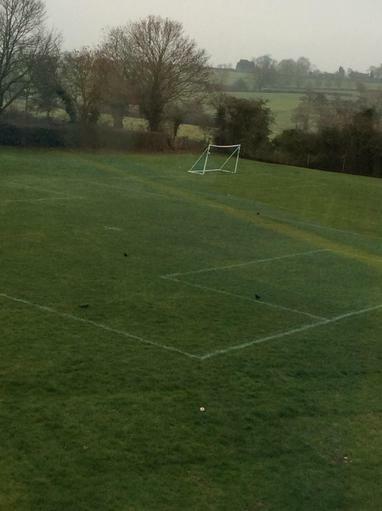 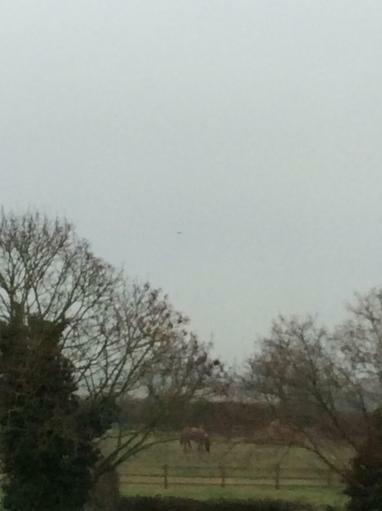 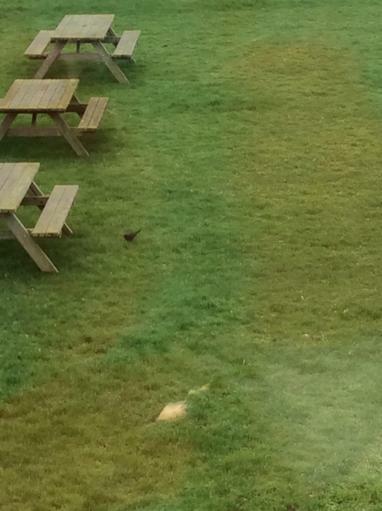 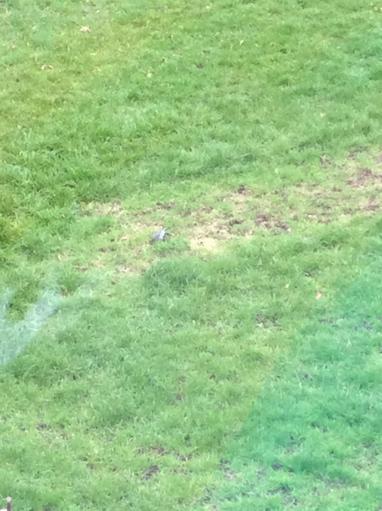 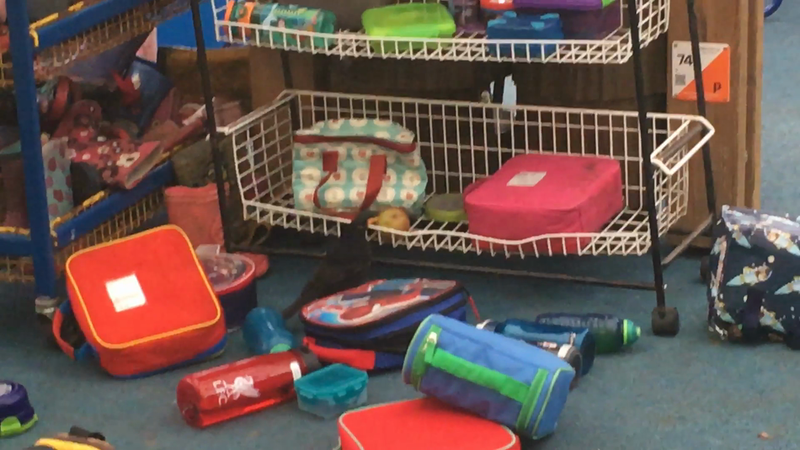 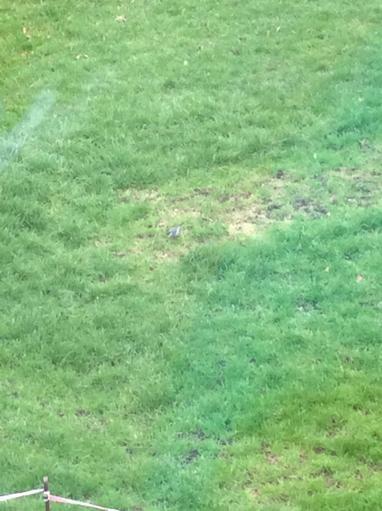 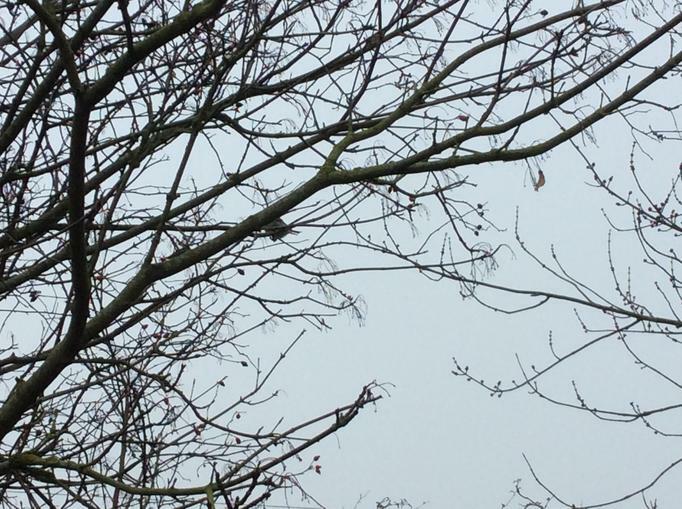 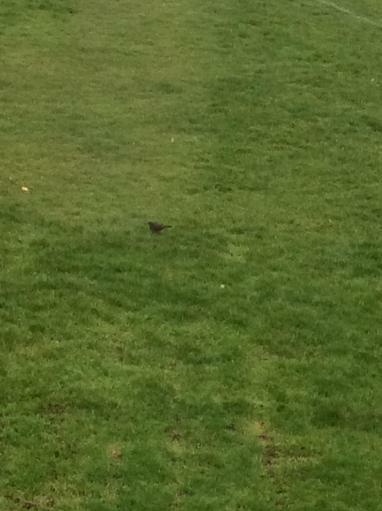 then we spotted a cheeky blackbird eating someones apple from the snack tray!